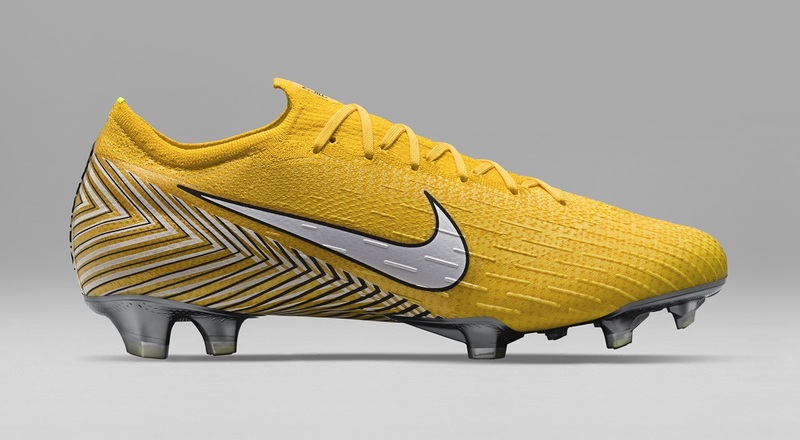 Anyone notice the new boot colorway Neymar had on his feet as he helped Brazil win 2-0 over Mexico earlier today? 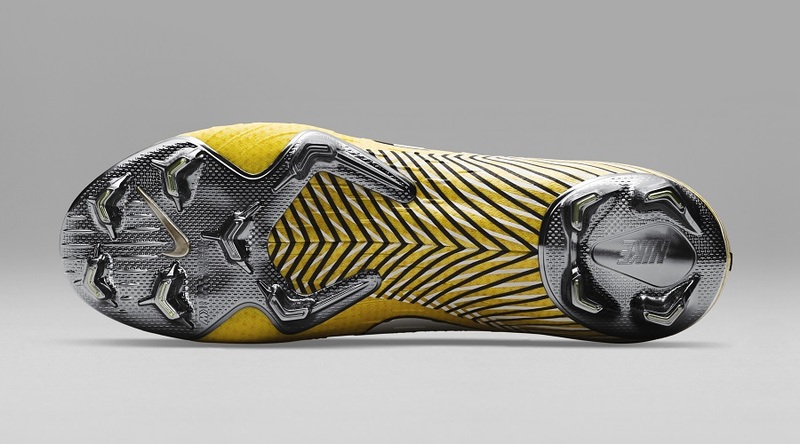 What a time to receive a new pair of boots; score a goal, grab an assist, win 2-0 and move onto the World Cup quarter finals. 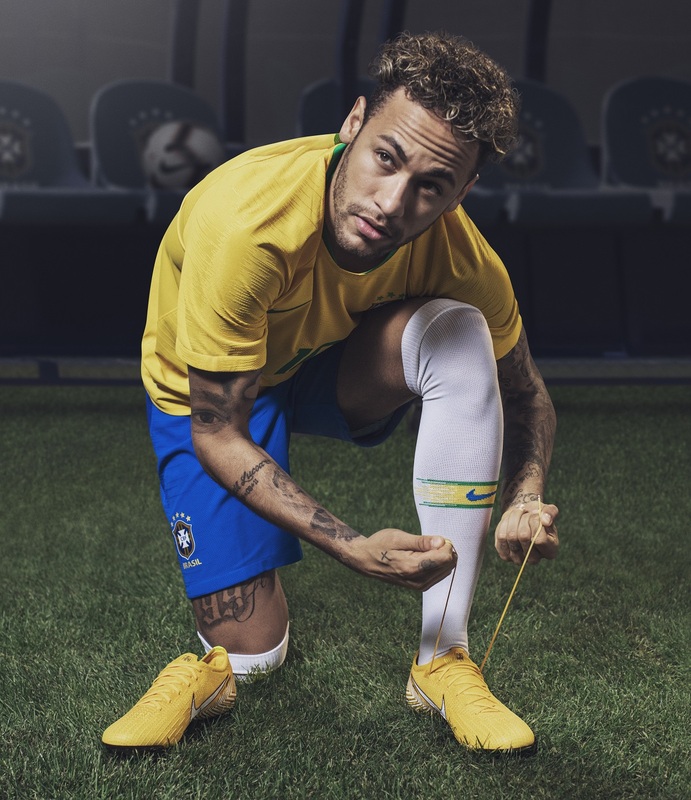 Welcome in the special edition “Meu Jogo” Mercurial Vapor 360, designed to represent Neymar’s expressive style of play on the pitch. It also commemorates the belief that brought him from his first professional club in Brasil to the highest level of soccer. 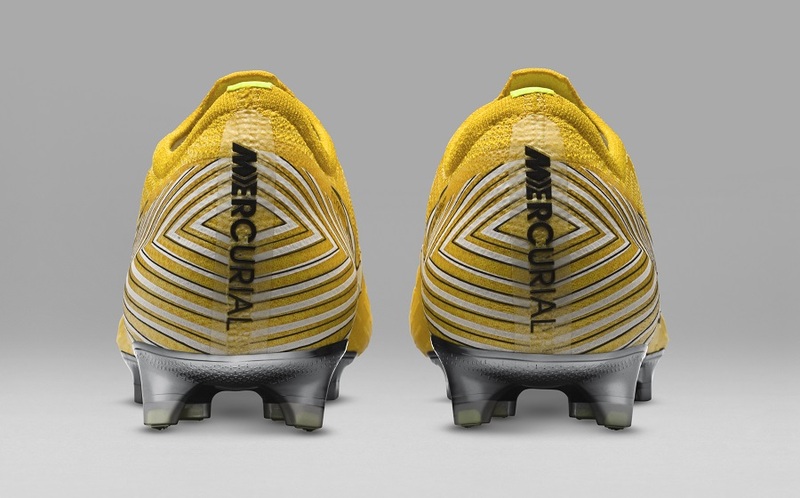 They come in a canary yellow with an underfoot graphic that leverages the 360 construction of the Mercurial. 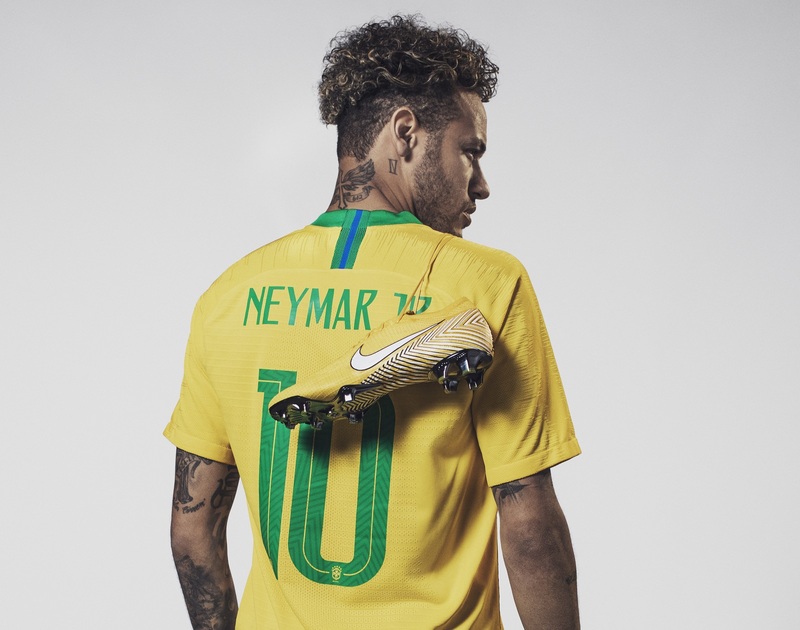 “Meu Jogo” references Neymar’s commitment to playing his game. *UPDATE: the full special edition collection is NOW AVAILABLE. Right as the game kicked off earlier today, Nike dropped a limited number of pairs on Nike.com. They sold out within minutes! There will be more pairs available right across retail in the next 24hrs, expect those to sell out pretty quickly also.